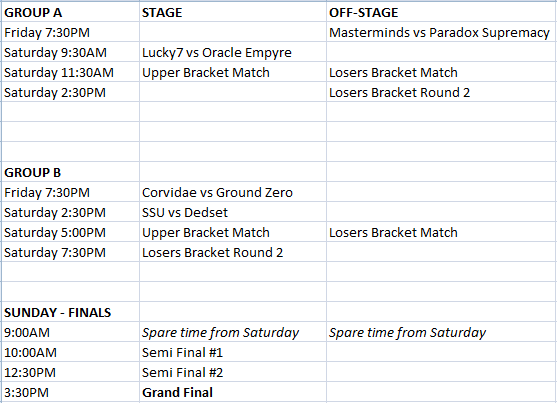 Hi everyone, this post should have all the info you need for the LAN, it will be updated as the remaining teams qualify. Free entry for all spectators! Configs not named correctly will be ignored. Each group will play a 4 team Double Elimination Bracket. 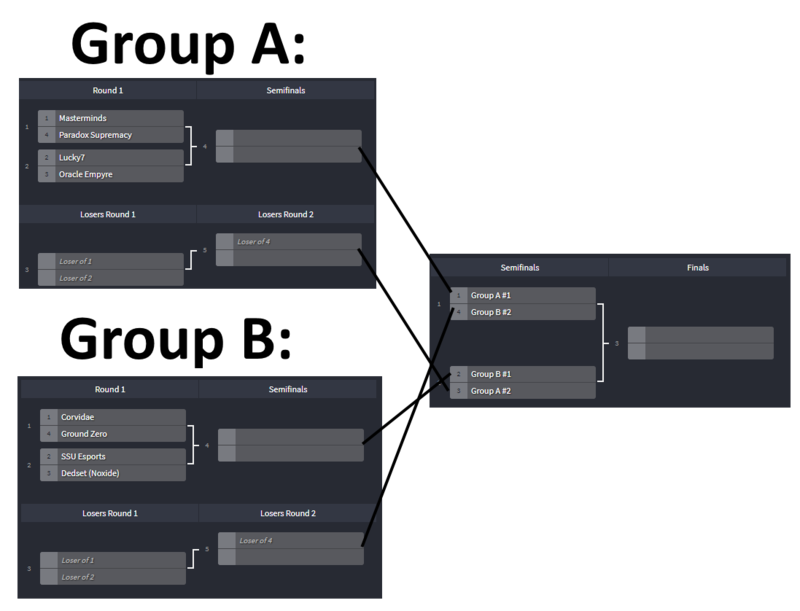 The top 2 from each bracket proceed to Single Elimination Finals. All matches are BO3. If a team is not present when required, they'll forfeit the first map after 10 minutes, and the entire BO3 after 30m. If there is any doubt in your team attending the LAN finals please open a support ticket immediately so that one of the play-off teams can take the spot.